The Hanyu Pinyin system is not the only way to write Chinese using a Western alphabet. Pinyin was introduced in 1958 but took many years before it became widely adopted. Many systems have been tried over the centuries to achieve the same result. Due to its continued use in Hong Kong and Taiwan the Wade-Giles system is the most widely seen alternative. It was the system used in the early twentieth century and so it is found in most of English books from this period (1890-1970). The Wade-Giles system ➚ is still sometimes seen today in the spelling of such names as Mao Tse-tung (Mao Zedong 毛泽东); Peking (Beijing); Szechuan (Sichuan) and Yangtse Kiang (Yangzi Jiang). It was developed by Sir Thomas Wade ➚, a British ambassador and scholar, in 1859 and later refined by Herbert Giles ➚, another British ambassador and scholar in the 1890s. They were both, at different times, Professors of Chinese ➚ at Cambridge University, UK. It remained in use in Western countries up to the 1970s. Other systems were developed, but not as widely used, including the American Yale system ➚ of 1943. The differences between Pinyin and Wade Giles illustrate the problem of mapping Chinese sounds to similar English ones. For example the Chinese ‘b’ sound is somewhat intermediate between English ‘b’ and ‘p’. The Chinese ‘r’ sound is made in a different way to the English ‘r’ and this is why some Chinese (particularly Cantonese people) can have difficulty with ‘r’s and ‘l’s. Both systems have merit; in mandarin ‘c’ is nothing like the English sound - the Wade-Giles alternative of ‘ts’ is closer. Wade-Giles does have its oddities too, for example while Ch’ing is pronounced Ching; Chiang is pronounced Jee-ang. One reason for the stark differences is that some Wade-Giles spellings are based on the local rather than the Beijing dialect; this was because the early linguists listened to local dialect speakers particularly in southern China not just people from Beijing. Pinyin representations should have tone marks over vowels, Wade Giles was devised at a time when it was not possible to print these marks and it makes use of apostrophes (') instead. As many books miss out the all important apostrophes the Chinese text is almost impossible to decipher correctly. As a guide to correct vowel sounds the pinyin representation is far superior. There are some general rules on pronunciation in Wade-Giles, but particularly for place names there are exceptions that do not follow them. Once a place was transliterated into English the written name tended to stick even though it bears little relation to the modern name. ‘Peking’ is an example of an established transliteration that had been in use long before Wade-Giles was invented and so was included into the scheme. From the early days of European contact it was necessary for major settlements to have an agreed international name, so many places were given ‘Post Office’ spellings as accepted by the Chinese Postal Service and these names show little uniformity. Many place names in the U.K. are equally difficult to guess from the written form as the spoken sound has diverged from the original. For example London is pronounced ‘Lundun’; Edinburgh as ‘Edinbre’; Cambridge as ‘Came-bridge’. For the full set of pinyin consonants and vowels please see our Basic Chinese introduction. This table shows the way that Wade-Giles writes initial parts of Chinese characters compared to Pinyin. b p The sound is intermediate between the 'b' and 'p'. c ts' or tz' The 'tz' of Wade Giles is closest. d t The sound is intermediate between the 'd' and 't'. g k A widely used name Guomindang is still widely seen in Wade-Giles form as Kuomintang - it is pronounced as 'gwo-min-dung'. A 'gu' initial often becomes 'kw' in Wade-Giles. j ch The distinction between ji and chi is hard for English people to master. In many place names 'jing' in Wade Giles is 'king' as in Beijing vs. Peking this was a carry forward from earlier systems. q ch' Even closer to the ch sound is the Chinese 'q'. Hearing the differences between ji; qi; zhi and chi takes practice. s ss or sz Wade Giles more accurately emphasizes the longer and stressed 's' in Chinese. Most common example is Sichuan for Szechuan. x hs Once again Wade-Giles gives the better hint on pronunciation as in Deng Xiaoping vs. Teng Hsiao-p'ing. z ts or tz The Yangzi River provides the most widely known example as Yangtse. zh ch The Beijing pronunciation is more like 'j' in judge. So Hangzhou Hangchow is pronounced 'hang-joe'. This table shows how Wade-Giles writes the final 'vowel' part of Chinese characters compared to Pinyin. -e -eh The 'e' sound is not stressed. -ian -ien As in Tianjin compared to Tientsin is pronounced 'tyen-gin'. -ong -ung An example is Chongqing compared to Chungking. In this case the rule for 'q' becoming 'ch' is not followed. -ou -u Sometimes this becomes 'ow' in Wade-Giles as in Guizhou for Kweichow. -ui -uei The pronunciation is a little like 'way', so Sui is pronounced 'sway'. -uo -o The ancient city of Luoyang was written Loyang and pronounced 'lore-yang'. Wise schooling has produced excellence beyond the teacher. The follower has surpassed the master. Here is a list of Wade-Giles names that you may still see in old books and on some web sites. The pinyin equivalent name is shown to the right of each name. Some of these, like ‘Peking’ are historical artifacts, the romanized names had already been in use long before Wade-Giles was devised and they chose to retain the existing spellings rather than confuse with new ones. If you want to convert pinyin to Wade-Giles you can try our free online dictionary. 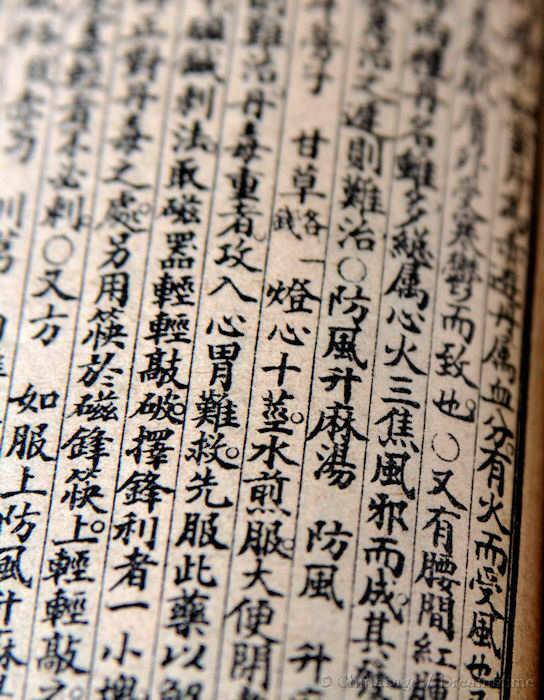 Citation information for this page : Chinasage, 'The Wade-Giles romanization system for Chinese', last updated 2 Dec 2016, Web, http://www.chinasage.info/langwadegiles.htm.